South Range defeated Struthers 15-0 on Tuesday as two pitchers combined to throw a shutout. Reagan Irons induced a groundout from Stocker to finish off the game. In the first inning, the Raiders got their offense started. Marlaina Slabach grounded out, scoring one run. The Raiders scored seven runs in the second inning. Brooke Sauerwein, Maddie Helon, Drew Feren, and Julie Centofanti each drove in runs during the inning. A single by Ferguson in the second inning was a positive for Struthers. Bree Kohler was the winning pitcher for South Range. She allowed one hit and zero runs over two innings, striking out two and walking one. Reagan Irons threw three innings in relief out of the bullpen. Pizzone took the loss for Struthers. She lasted five innings, allowing 11 hits and 15 runs while striking out three. South Range tallied one home run on the day. Jillian Strecansky put one out in the fifth inning. The Raiders collected 11 hits on the day. 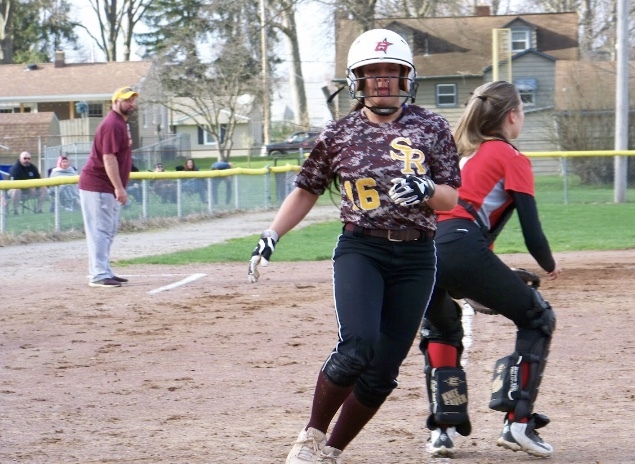 Hanna Dennison and Jillian Strecansky each racked up multiple hits for South Range Raiders. Jillian Strecansky and Hanna Dennison each collected two hits to lead South Range Raiders. South Range was sure-handed and didn’t commit a single error. Jillian Strecansky made the most plays with eight. Powered By Narative Science and GameChanger Media. Copyright 2019. All Rights Reserved.